Last night I made a huge pot of quinoa for my husband to use in a new recipe he is trying (a breakfast casserole of some sort...stay tuned). So today I threw a salad together using some of the quinoa + added things I already had on hand like shredded carrots + mint. A handful of black beans gave the salad a bit more staying power by upping the protein + fiber content. I also added a dollop of fresh baba ganoush in lieu of dressing. This added creaminess without the greasiness of an oily dressing. 1. Place quinoa and beans in a bowl. 3. 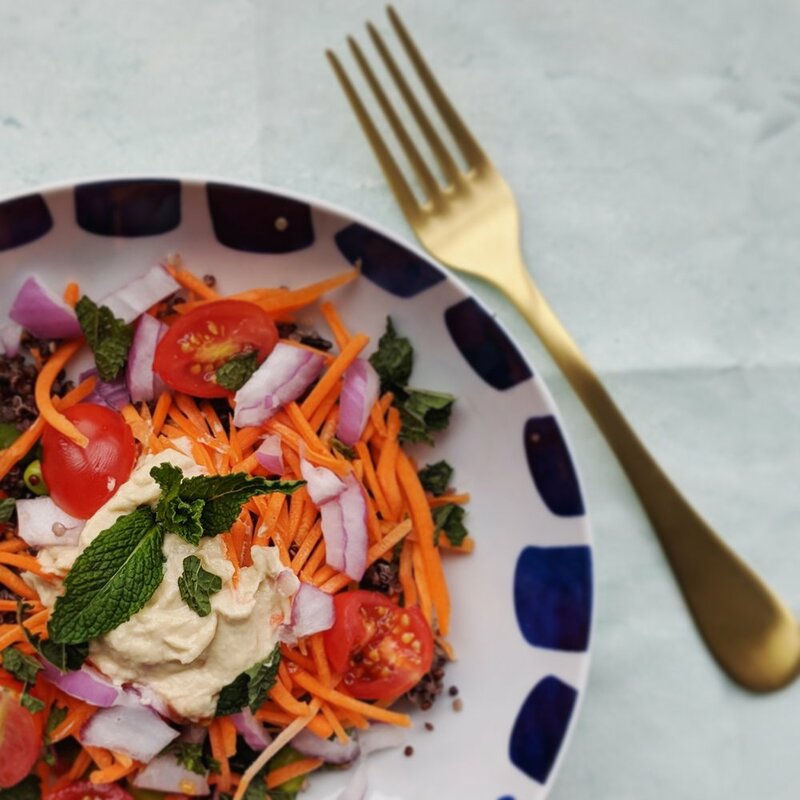 Scoop baba ganoush onto salad, top with mint + enjoy!